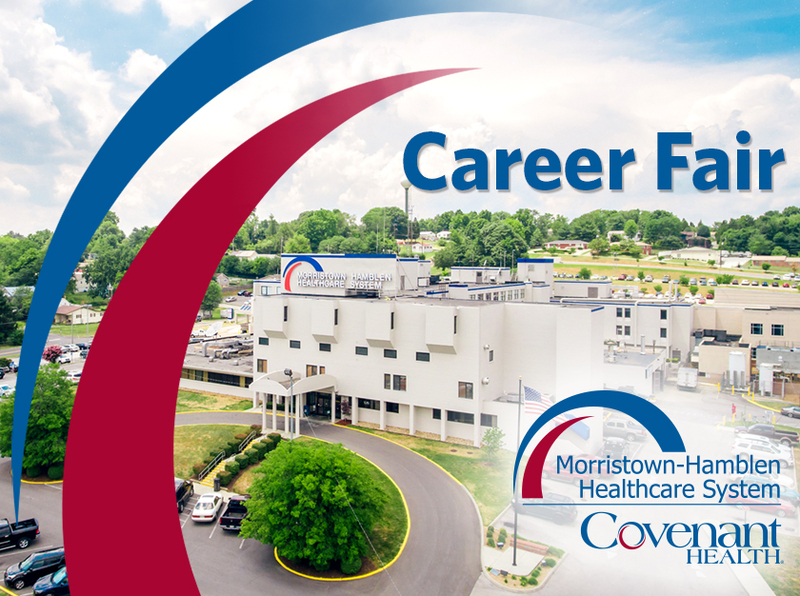 Clinical and non-clinical healthcare workers seeking new career opportunities, as well as community members interested in learning more about the hospital and its’ services, are invited to attend a career fair at Morristown-Hamblen Healthcare System. The fair will take place on Monday, November 12th with sessions from 9-11am and 2-4pm. Attendees will be able to meet and greet leaders from the hospital as well as connect with our recruiting team. Those wishing to attend may R.S.V.P. by filling out the form on this page. We look forward to meeting you! Morristown-Hamblen Healthcare System is conveniently located in Morristown, TN. To learn more about the hospital and the services it provides, visit www.morristownhamblen.com or call (423) 492-9000. Covenant Health is the region’s top performing network and the only health system in East Tennessee to be named by Forbes as one of “America’s Best Employers.” We are the largest employer in the Knoxville area and provide employees with excellent benefits.